Since September I have been purchasing a monthly beauty subscription that I’ve really been enjoying, although I’ve not enjoyed every single product. Some of them I’ve loved and I’ll be likely to repurchase but others just didn’t work for me and my skin, which is totally OK. The BirchBox is £12.95 a month which includes delivery and you receive 5 products. Sometimes you get 1 or 2 full sized samples and other times you don’t. They come in the most gorgeous draw boxes that I love and wish I had kept most of them since they’re so cute. 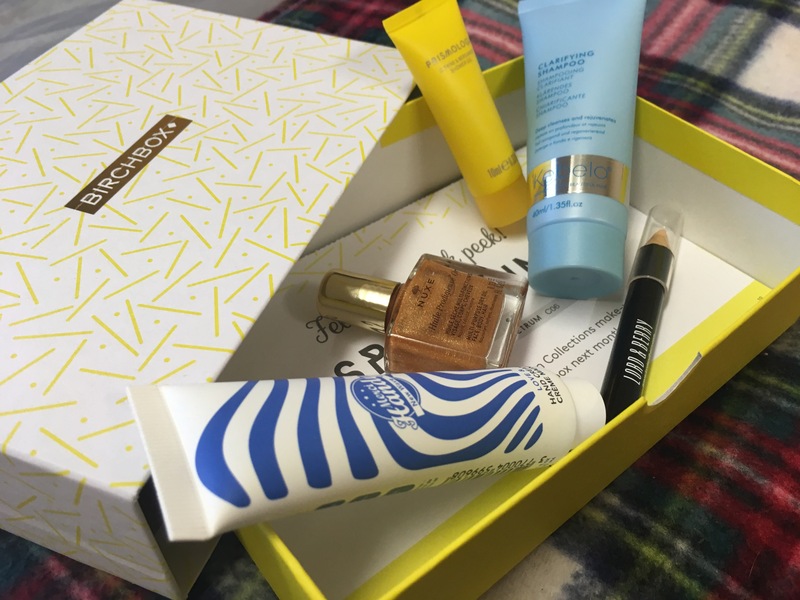 I’ve loved receiving my BirchBox each month and I often forget about it so it’s like a gift to myself. With that in mind, I didn’t like every single product that I’ve received. Most of them I’ve enjoyed and like I said, will probably repurchase for full sample. However, there are 5 particular products that I don’t really care for as they haven’t cooperated with me. I’m a fan of colour correcting and when I received the NIP+Fab colour corrector in the yellow shade I was excited to try it. I tried it and I could not have been more disappointed. I used it under my foundation and my foundation looked cakey all day. It wasn’t pretty and due to this, I won’t ever purchase a NIP+Fab colour corrector through absolute fear. 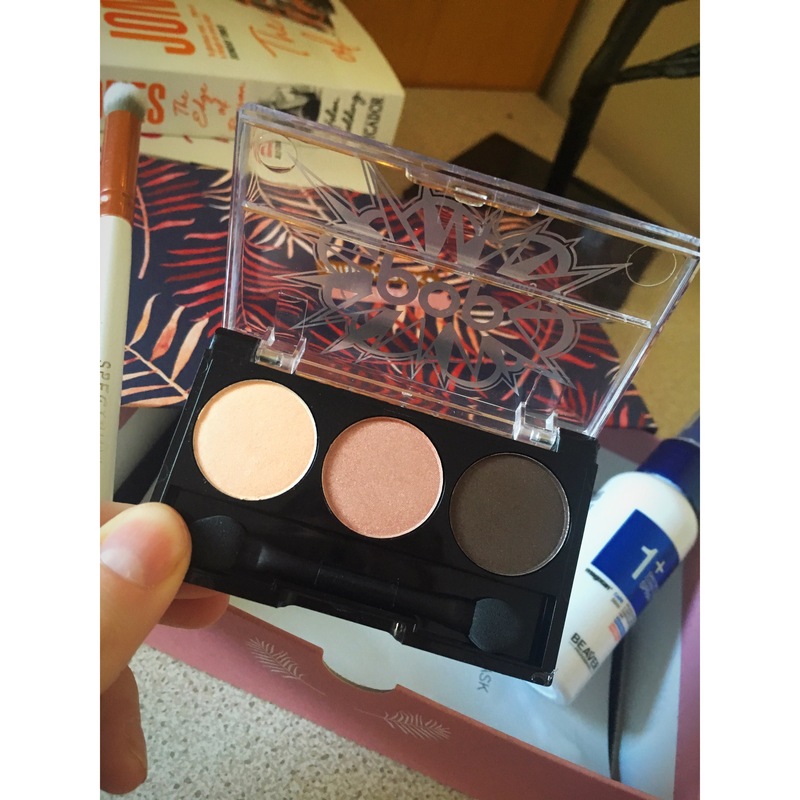 I cant remember which month but I received a sample trio of the POP Beauty eyeshadows. I had never heard of this brand before so I gave it a go and it just didn’t do anything for me. The shadows weren’t anything special and the trio had all shimmery shades. It includes a shimmery dark brown which I would have used to smoke out but it just was too shimmery. It also includes a shimmery pink shade and a shimmery neutral shade. Like I said, they just didn’t do anything for me and I had no feelings towards it at all. In a recent box we got to choose a full sample size and I picked the Mannakadar beauty powder. I think this was priced crazily expensive, something like £27! It’s the smallest product I’ve ever seen. Normally, powders are a fair size and worth the money. This is a small pan which actually looks like an eyeshadow. This is probably the bit that disappointed me the most. Also, the product wasn’t good at all. Again, it made my base look cakey and I wouldn’t recommend using this under the eyes at all. Now, these next two products are fairly similar. I have the Amika: Bombshell Blowout Spray and the Beauty Protector protector and detangle spray. I do like to use products in my hair when I blowdry it just to make it look nicer and a more fresh but these products do nothing for my hair at all and it’s as simple as that. I don’t think they’re good or bad I just don’t think they do anything to my hair but they might do something to someone else’s. They smell good though! My April BirchBox arrived and there is some real good products that I’m looking forward to trying. 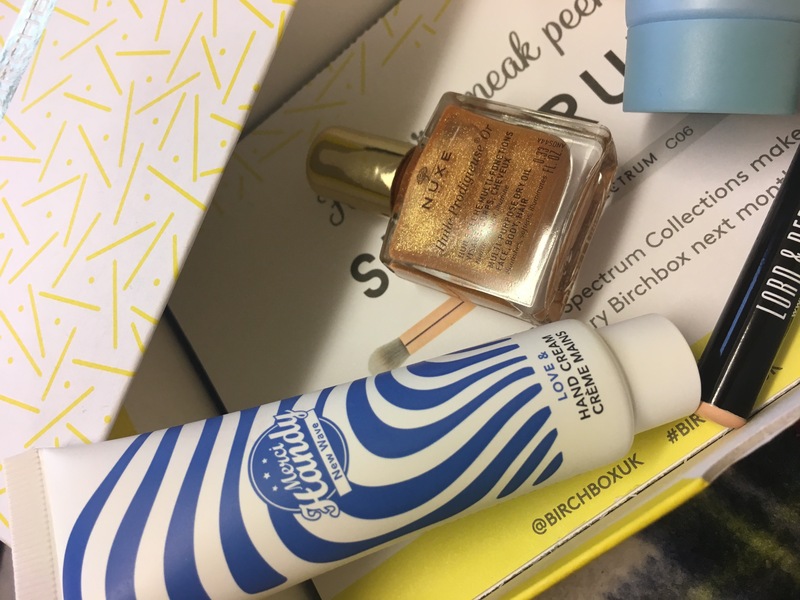 Firstly, I’ll just let you guys know that this will be my final BirchBox until October! I’m heading away for the summer and won’t have no use for these as they won’t even be delivered to me or will I have time to post about it. So, these will probably… possibly continue in October! For now though, lets jump straight into this months box. We got to choose a product in this months box and for me I picked the Manna Kadar Cosmetics High Definition Powder. This retails at £27 full sized and this month we all received it as a full sized product! Which is incredible. I’ve been looking for a new powder for a while now and this powder is supposed to help you look less dewy and your makeup last a little longer! After swatching it I feel that it’s so soft and velvety, it’ll probably glide straight onto the skin. The second full sized product that I received was the Nip+Fab Colour Correcting Concealer in Yellow. This retails at £8.85. I think these two products alone are fantastic for the price of the BirchBox in general. I do love to colour correct using the green shade and I’ve never tried the yellow before. Apparently, yellow is used to create a more highlighted look which will be perfect for the spring/summer time! Next is the Polaar IcePure Gentle Scrub with Arctic Cotton. This retails at £23.50 full sized which is rather expensive, however it says to have Arctic cotton in it and this just sounds very luxurious and exciting. Apparently, Arctic cotton is super moisturising which means that the product will exfoliate and smooth out the skin.. looovely! I also received the Amika The Shield Style Extending Spray, retailing at £20 for a full sized product. This is supposed to be used by spraying it onto damp or dry hair before applying heat, i.e hair dryer/straightening. I do find that my hair does become very damaged if I don’t use a heat protector so I’m sure this will come in very handy. Finally, the last product I received was the Boija Paris Creme Moana in Fleur de Tiare, which retails at £15.90 full sized. This is supposed to be used by massaging it into dry skin. It’s pretty much a body lotion that helps with dryness and generally making your skin look and feel healthier. I don’t ever go out of my way and buy things like this but I’ll be sure to put it to the test to see whether it’s actually any use. There we have it! My April BirchBox. I really liked this month’s, it’s such a shame I’m missing them for the next few months. They’re like a little gift to myself. The first BirchBox of 2017 has arrived and I’ve been super excited for this (I am every month though aren’t i?). I love that I receive a little gift to myself every month and I totally forget about it, so when it’s arrive it’s like Christmas! This month’s box is in collaboration with HelloFresh and we were given a discounted coupon to try out their weekly subscription for £9, meaning that we save £30 in our boxes this month. HelloFresh is a food service that deliver a week’s worth of meals, fully prepared and ready to be cooked right to your front door. I’ve researched more about this company and personally I won’t be purchasing a box because I can’t ever see myself eating these types of meals but I know some people would love this type of service especially if they’re busy and always on the go. 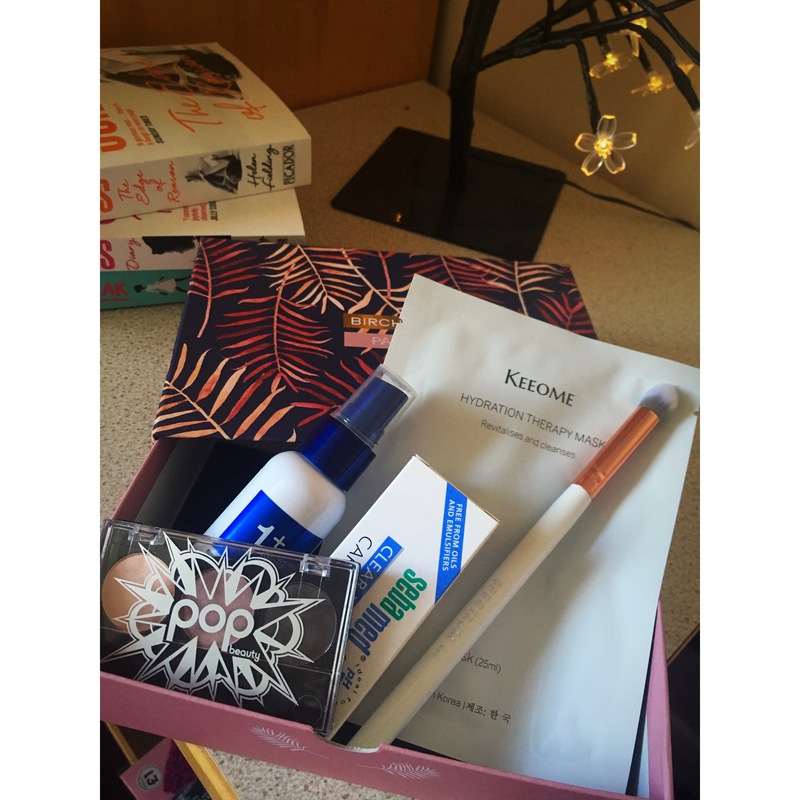 So, let’s jump straight into this months BirchBox! I first noticed this small sample sized product of the Nuxe Multi-Purpose Dry Oil for the face, body and hair. Now I’ve seen this as a full size product in person and it’s huge, the bottle is massive. It’s retail price is £21 for a full size bottle and I definitely think if you enjoy this product, you should definitely repurchase because it will last you for so long. I’m actually most excited about this product because who doesn’t love a bit of shimmer on their body, hair and everywhere in between right?. It’s description says that it is full of six essential oils plus vitamin E which is so good for your body. It provides nourishment with a hint of golden radiance. I can’t wait to give this a try! Next is the Merci Hand Cream and it’s a full sized sample, it’s price of £4.90 and it’s actually quite a large product. It’s big enough to keep you going for a little while but small enough to put in your handbag and head out. It’s packed with pearls and nourishing extracts to pamper and smooth. I think there is a connection with each of these products this month, they all seem to be nourishing.. not that I’m complaining of course. I do like a good hand cream and I always find my hands get really dry, regardless of the season so I’m very pleased. 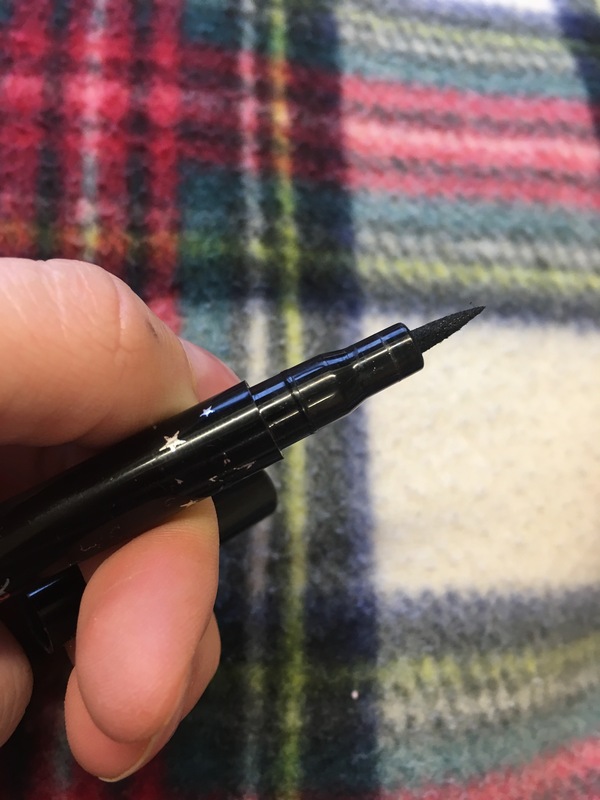 In a previous BirchBox I was given a Lord & Berry lip crayon which I absolutely love, so when I saw that I received a Lord & Berry Conceal-It Crayon I was over the moon. It retails for £12 and this month we were lucky enough to receive another full sized sample, win! I tested it on my hand and it’s so buttery and smooth, it blends lovely too which makes me more excited to try it out for my under eye area. My shade is in ivory and I’m interested in how good it’ll be at highlighting my face too. I also got the Kebelo Clarifying Shampoo which retails at £13.95 for a full sized sample. I’ve never ever tried a clarifying shampoo but I know so many people who swear by them. It’s said to deep clean and detox strands and scalp to create healthier and less dull looking hair. What more could you want seriously? Finally, I also received the Prismologie Yellow Day Shower Gel. If I am totally honest, this is the product I’m least excited for. It’s retail price of £30 full sized and that’s a ridiculous price for a shower gel and not something I’ll ever purchase. I feel like shower gel’s all do the same thing and I’ve got some really affordable shower gel’s by Leather Imperial which I swear by and are less than £2 a bottle. However, I’ll definitely be giving this a go and seeing whether it’s actually worth the fuss.